So, What's This About Coffee "Cans," Reggie? 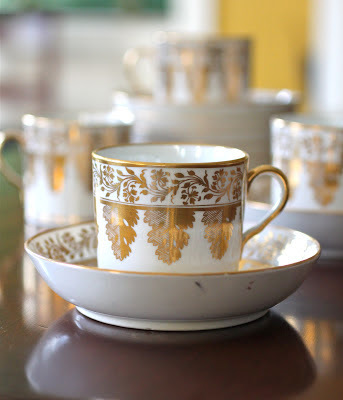 Not too long ago, Dear Reader, I published a post about an early-nineteenth century gilt-decorated porcelain saucer that I described as being part of a coffee service. In it, I said that we drink our coffee at Darlington House from what are correctly-termed "cans" and not "cups." A number of my readers wrote to me and asked me to explain what I meant by that. One or two even wondered, incredulously, did I mean we drink our coffee from the metal cans that coffee is sold in? coffee service that started it all . 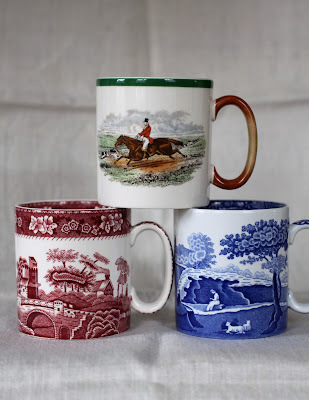 . .
Can-shaped cups were the preferred form used in Western Europe for drinking coffee in the late-eighteenth and early-nineteenth centuries, at least among elegant people who could afford such things.
. . . this is a coffee can and not a coffee cup! As many of us know (or at least those of us who have spent time looking into such matters know), the consumption of coffee as a beverage originated in Ethiopia in around 800 A.D., spread to Arabia around 1000 A.D., and then into Venice via Turkey in the early 1600s. 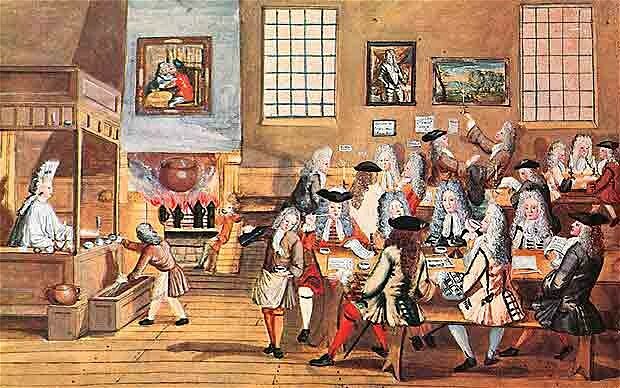 Once it arrived in Europe, the consumption of coffee quickly spread like wildfire into Holland, France, England, and ultimately America. 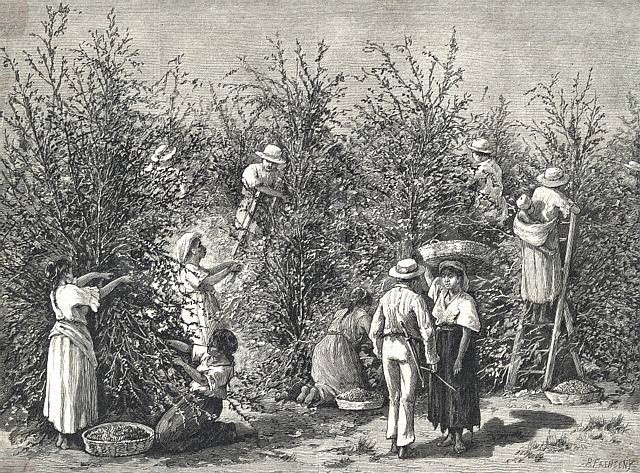 By the 1700s coffee production had begun in the New World, first by the French on the island of Martinique and then in Brazil. It was in Brazil that favorable growing conditions and industriousness soon began to produce the mammoth harvests that transformed coffee drinking from an indulgence of the privileged elite into the everyday drink of the average man. 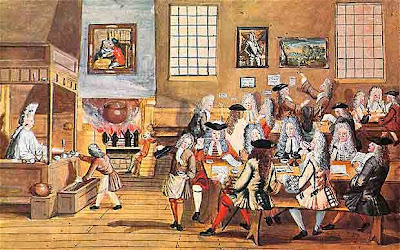 Not surprisingly, a complicated and (initially) codified system for drinking coffee emerged as the beverage gained popularity, and then ultimately eclipsed tea as the preferred drink of stimulation. Craftsmen produced pots and cups that were designed expressly for holding coffee, and which are (and remain) readily distinguishable from those designed to hold tea. The first European-made tea cups were modeled on those produced in and imported from China, as seen in the bowl and saucer shown in the preceding photograph. 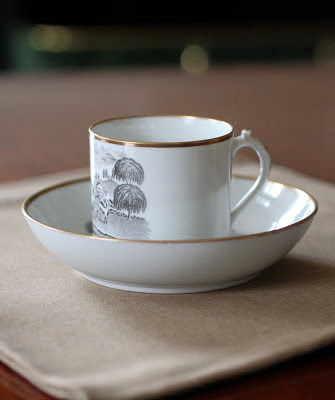 Such cups are correctly termed tea "bowls," because that is what they are—diminutive bowls. 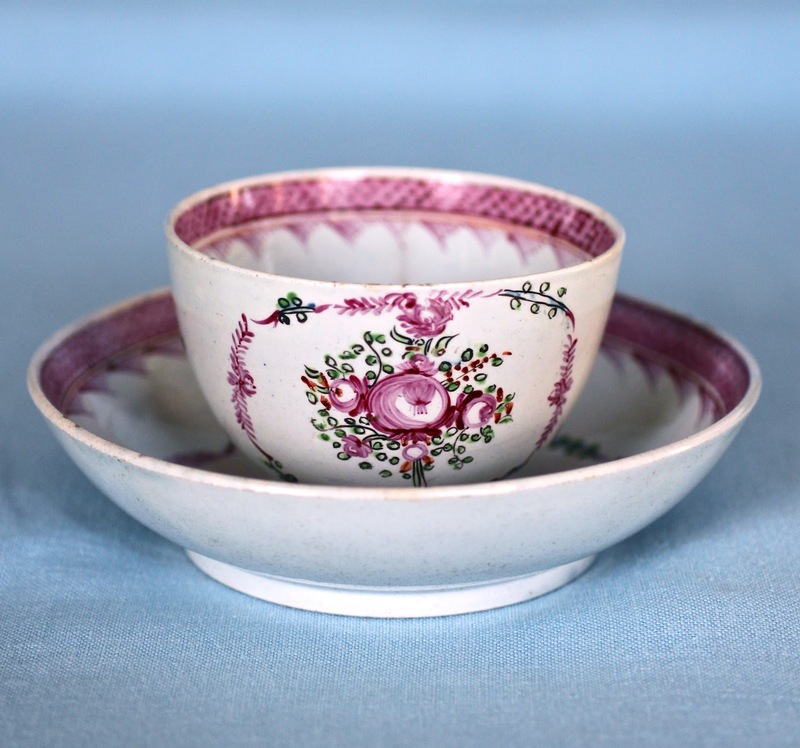 Soon, though, tea bowls began to sprout handles to protect the fingers of the person(s) consuming tea from them from being scalded. 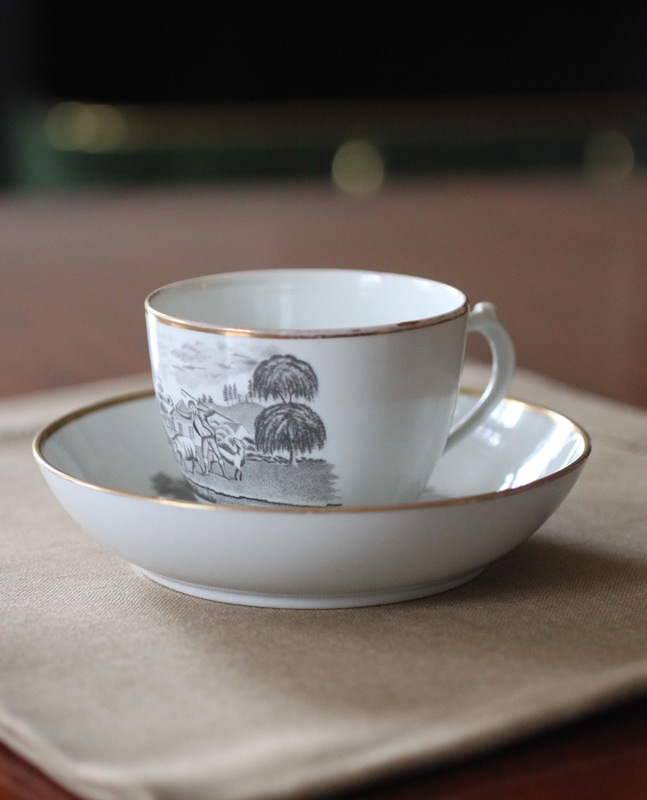 When coffee entered upon the scene in Western Europe and the Americas it was initially drunk from the same bowls and cups as was tea. Soon thereafter, however, a new form of cup was invented for the consumption of coffee. The service comes with both tea cups and coffee cans! 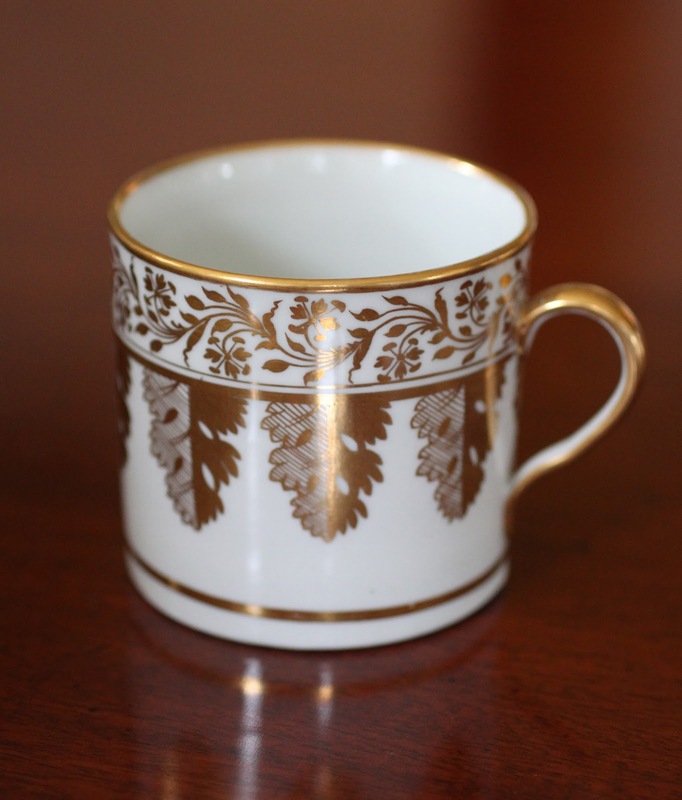 It was shaped like a small canister, or a miniature version of the mugs used at the time to consume water and beer, and it is the form that is correctly known as a coffee can. Over time such coffee cans lost their associated saucers and have since evolved into what is today known as a coffee mug, the popular vessel used for drinking coffee that can be found in nearly every kitchen cabinet today the world over, including ours at Darlington House. And with that, Dear Reader, I both conclude my little history lesson of the vessels used in the consumption of coffee and initiate a new series here on Reggie Darling—the Coffee Can of the Week! I hope you like it . . .
Reggie had an unexpected New York weekend, Dear Reader. 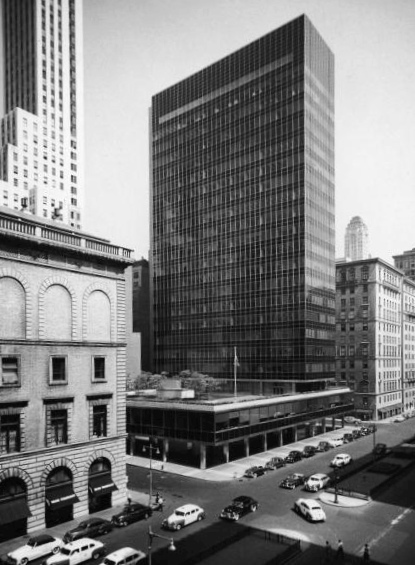 At the last moment he wound up staying in Manhattan instead of running up to Darlington House, due to rather tiresome work commitments. So he made the best of it! On Saturday, after a morning spent chained to seemingly endless conference calls and tedious document reviews, Reggie decided that enough was enough and treated himself and Boy to a tasty lunch at Casa Lever, located in Lever House, the iconic Skidmore, Owings & Merrill designed masterpiece of modern architecture on Park Avenue at 53rd Street. Casa Lever is a "scene" restaurant during the week, what with full-throttle "power" breakfasts and lunches full of Type-A deal makers and their clients, busily one-upping each other. The after-work bar scene and dinner crowd at Casa Lever can be truly assaultive, with bar stools and tables packed with desperate 30- and 40-somethings looking for the next best thing. Or at least the next better thing. But on weekends Casa Lever is a delightful place. 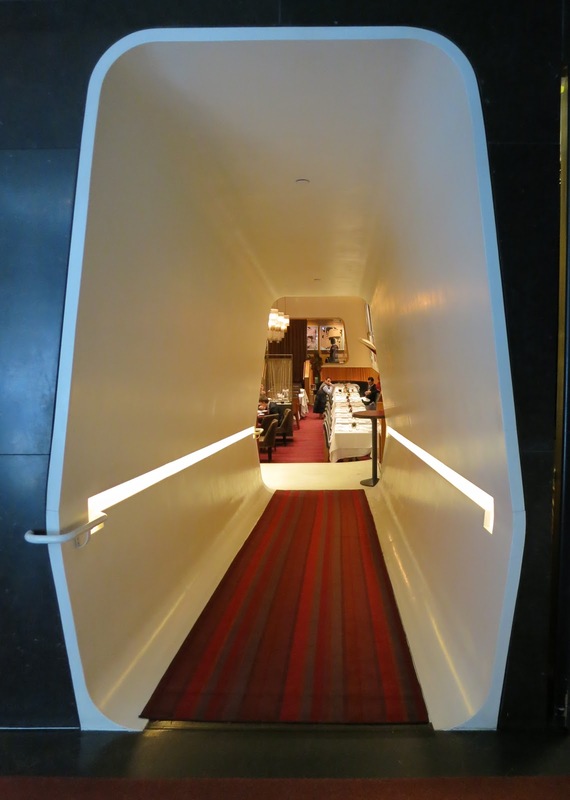 One practically has the restaurant to oneself, at least during lunchtime. 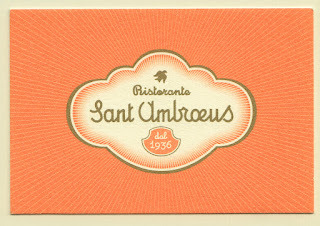 Casa Lever is part of the Sant Ambroeus empire, which has other restaurants in New York on Madison Avenue on the UES, in the West Village, and in Southampton. 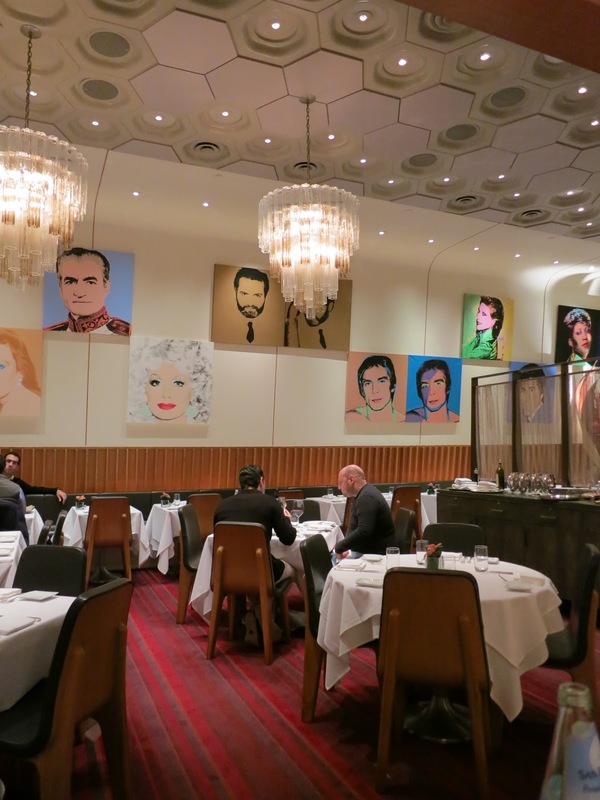 The interior of Casa Lever is very "modern" in a 1970s Italian looking way, at least to my eye. It is all sort of a jumble, as if Muriel Brandolini decorated it, or Miuccia Prada. Not exactly coordinated, Dear Reader, but not unpleasant, either. 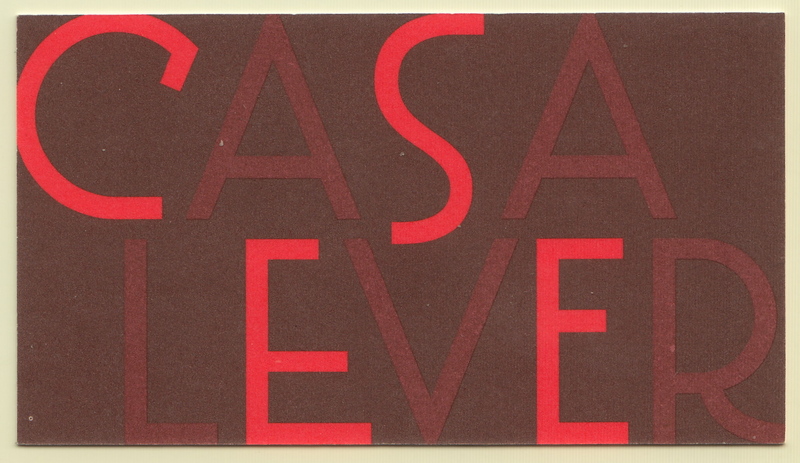 The food at Casa Lever is transcendently delicious. We had one of the tastiest lasagnas there for lunch that I've eaten in ages—at least not since the one my dear friend Lindaraxa made for me several years ago. Casa Lever's lasagna is made in the Milanese style—not too cheesy, but rather creamy, savory, and yummily divine. Heaven! The flowers at Casa Lever are lavish and beautiful. And the restaurant's lighting, particularly in the bar area, is very flattering. 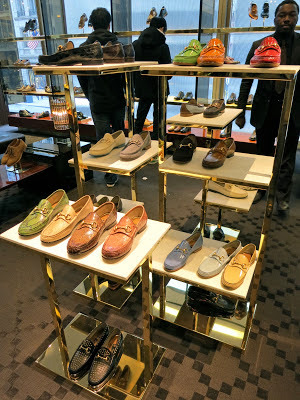 After lingering over coffee and a plate of delicious buttery cookies we decided to head over to Fifth Avenue, as Boy wanted to buy a new pair of Gucci loafers. 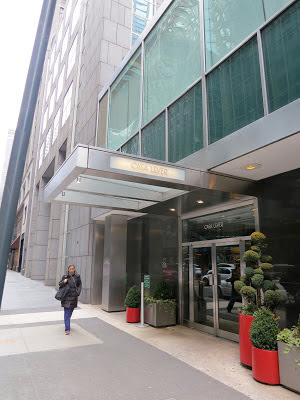 We genuflected as we passed Paley Park, the hallowed former site of the legendary Stork Club. 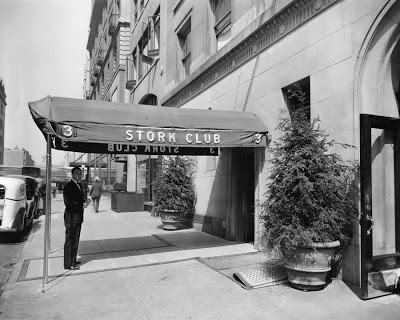 I wish that I had been a Manhattan-living grownup when the Stork Club was in full throttle. But it closed in 1965, when I was only nine years old. 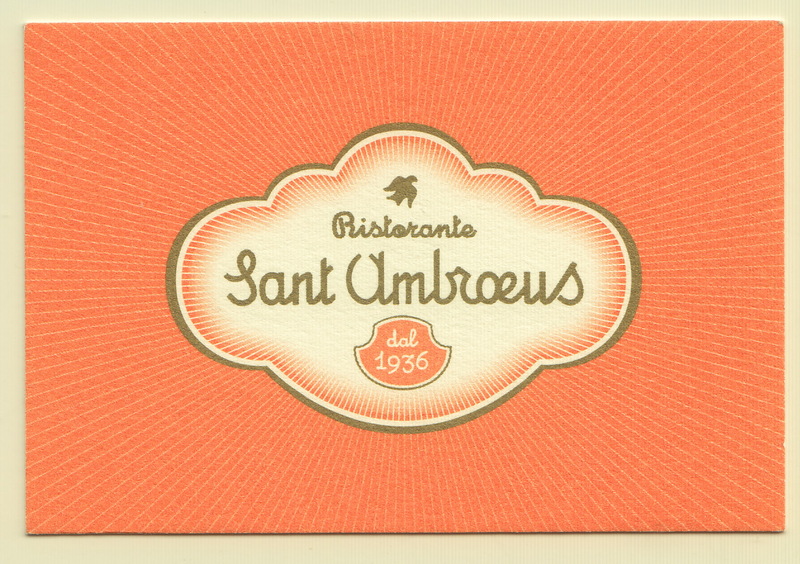 I would have loved to have gone there in its heyday. I've consoled myself, though, by collecting a number of Stork Club ashtrays over the years. 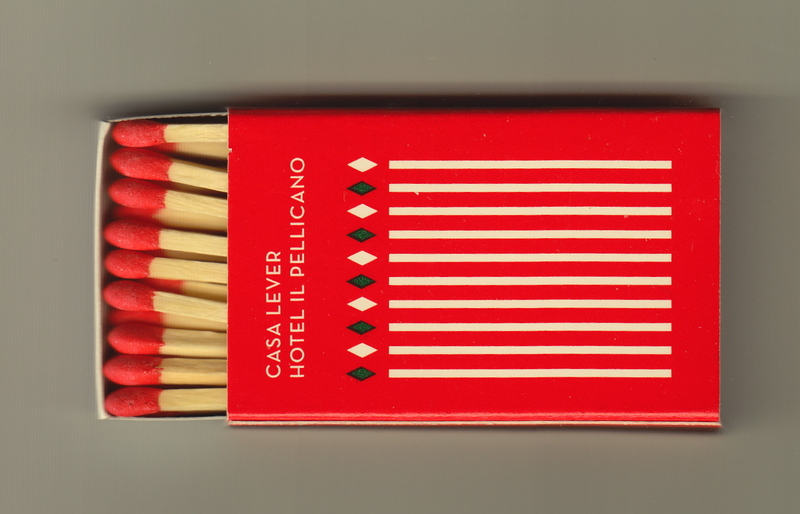 I used them back when I still smoked cigarettes. Even though I quit puffing years ago, I can't bear to part with the ashtrays. Not yet, at least. 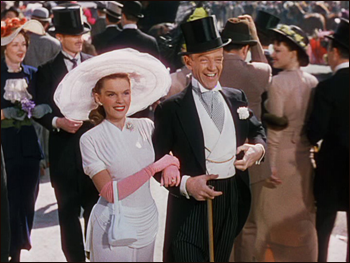 in the 1948 movie of Irving Berlin's "Easter Parade"
Fifth Avenue in midtown on a Saturday afternoon is clogged with tourists gawping and milling about. I don't begrudge them their fun, and I appreciate that they spend their hard-earned dollars in our city, helping our economy. The Fifth Avenue Easter Parade it ain't! However, I generally try to avoid this stretch of Fifth Avenue, as it can be unpleasantly crowded with people bumbling about. Sometimes one has no choice, though, and one must push forth with one's errands . . . 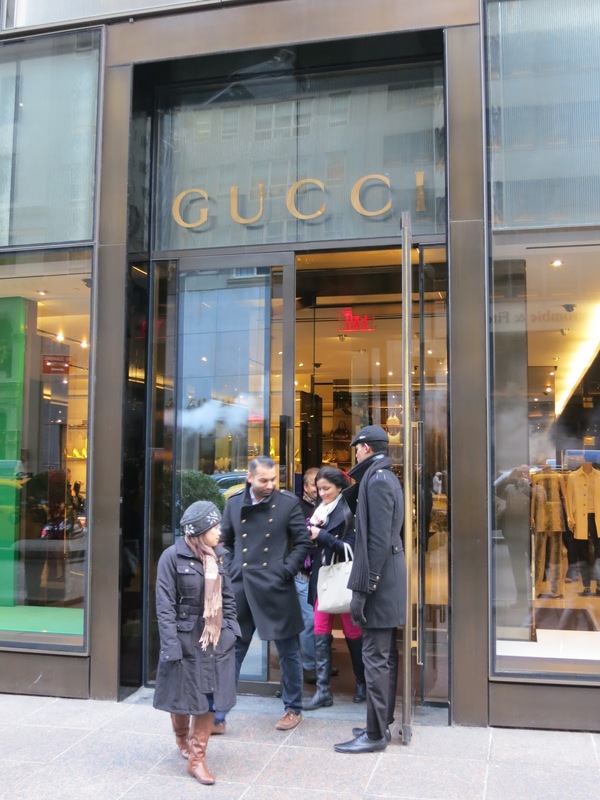 The Gucci store in the Trump Tower was off-puttingly full of under-dressed boors, most of whom didn't appear to have any intention of actually buying something. Mostly they were there to clock the goods and waste the sales staff's time. Most of the shoes on display were, um, not to our taste. Given the mayhem in the store it was challenging to find a salesperson to help us locate the classic horse-bit moc in brown leather that Boy was there to buy. There were lots of loafers available, though, in pastel ice-cream colors that Gucci has issued in honor of the 60th anniversary of the launch of this, their classic shoe. However, these shoes were not quite what Boy was there to take home . . . 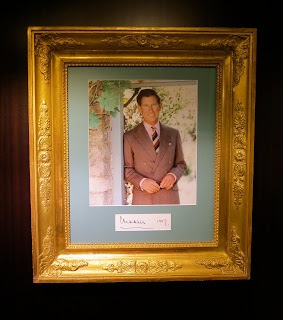 I rather liked the loafers Gucci had on display, though, shown in the preceding photograph. They were made entirely of plastic, with the exception of the metal horse bits. Darlington House, where they are a godsend! Image courtesy of the Original Muck Boot Co. 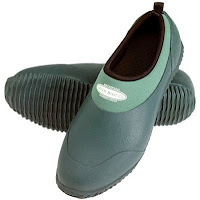 I think the plastic loafers Gucci is selling would make a terrific (and amusingly stylish) alternative to Muck Boots. So useful to wear on a muddy morning when supervising one's pug's constitutional! 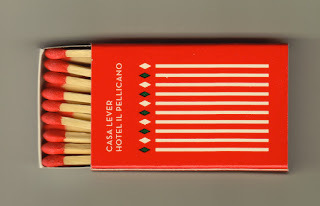 On second thought, though, they might be perhaps a bit hot on the foot, given what they are made of . . . 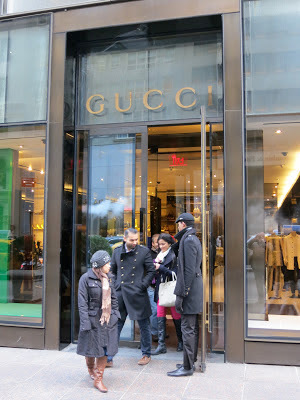 Frustrated by our failed mission at Gucci, we headed out the door, back onto Fifth Avenue. 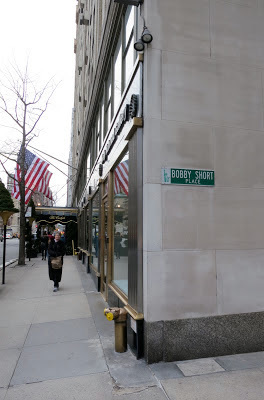 The next time I'm in the market for a new pair of Gucci horse-bit loafers, Dear Reader, I'm going straight to their outpost on upper Madison Avenue, far removed from this tourist fray. Our next stop was Tiffany & Company, so Boy could replace a worn-out belt strap to go with a gold buckle I bought him there years ago. We never made it past the ground floor. 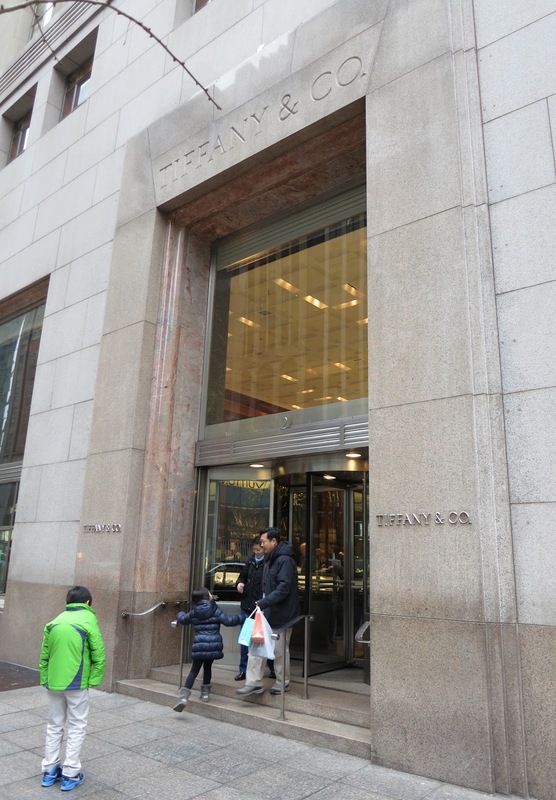 Tiffany was so crowded with tourists that we decided such an errand there was as foolhardy on a Saturday as the one we tried at Gucci, so we bolted again. 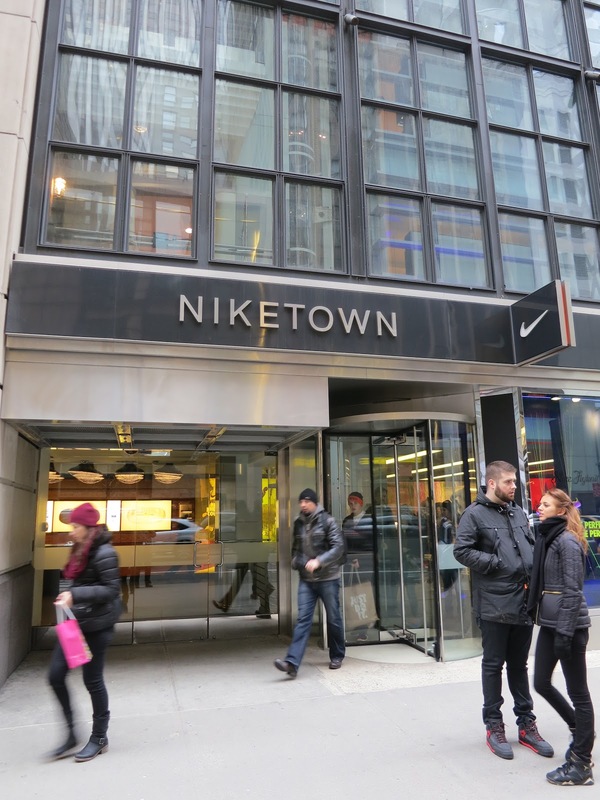 We hurried past the nearby Nike Town sneaker store. I've never been inside of it, and something tells me I never will. The sidewalk in front of the Nike Store was littered with trash. 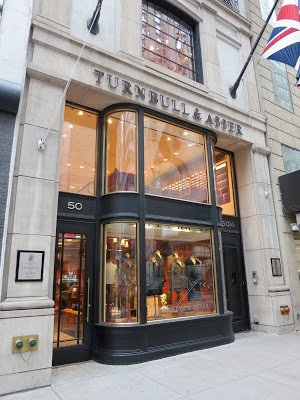 Turnbull & Asser is, fortunately, a mere block beyond the Nike store. It is a haven amidst the hubbub of midtown these days. Turnbull was blessedly free of the crowds that thronged Gucci and Tiffany. 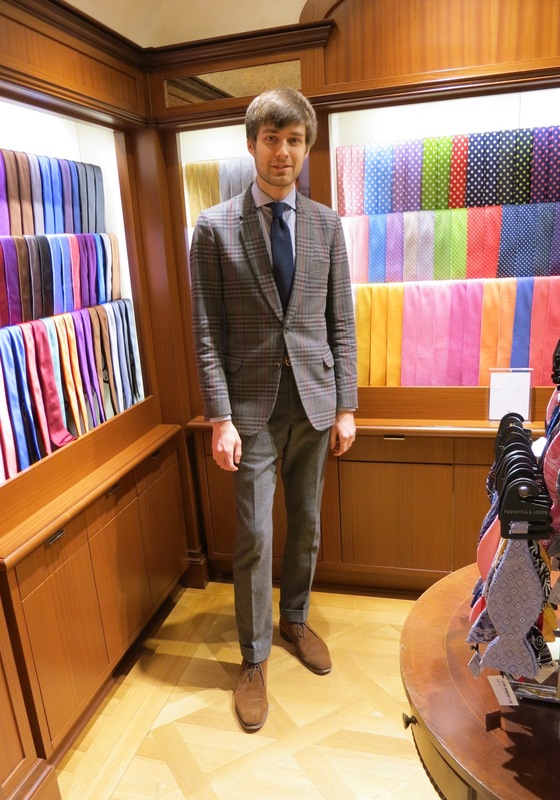 Other than an attractive young couple selecting ties, we were the only people shopping there. I was quite taken with the selection of colorful umbrellas. 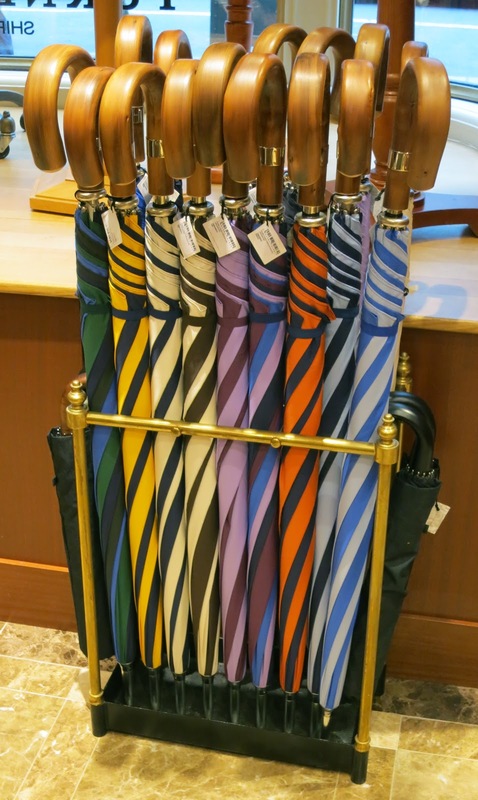 They come in both solids and stripes. However, it was for shirts that we visited Turnbull. Boy selected several rather attractive ones to add to his wardrobe . . .
. . . along with several pair of knot cuff links, including a pair in orange, his signature company color. 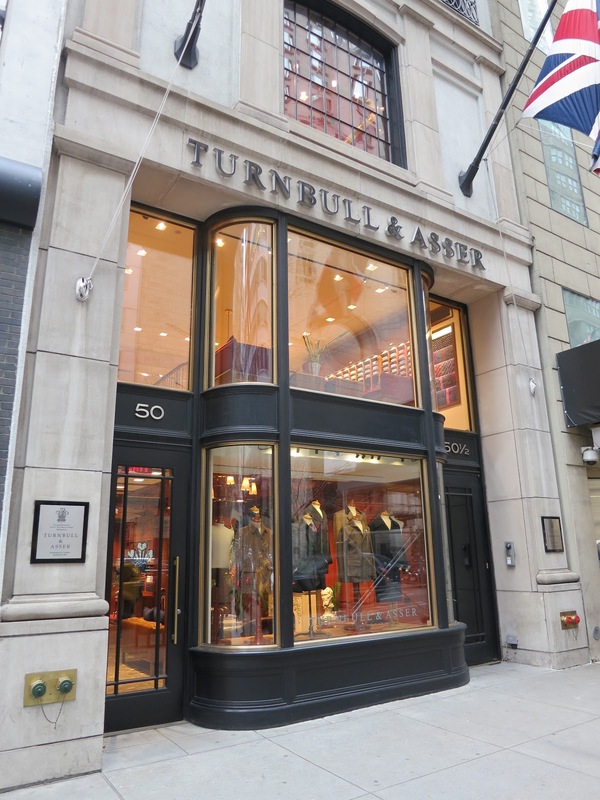 Prince Charles is a customer of Turnbull & Asser. 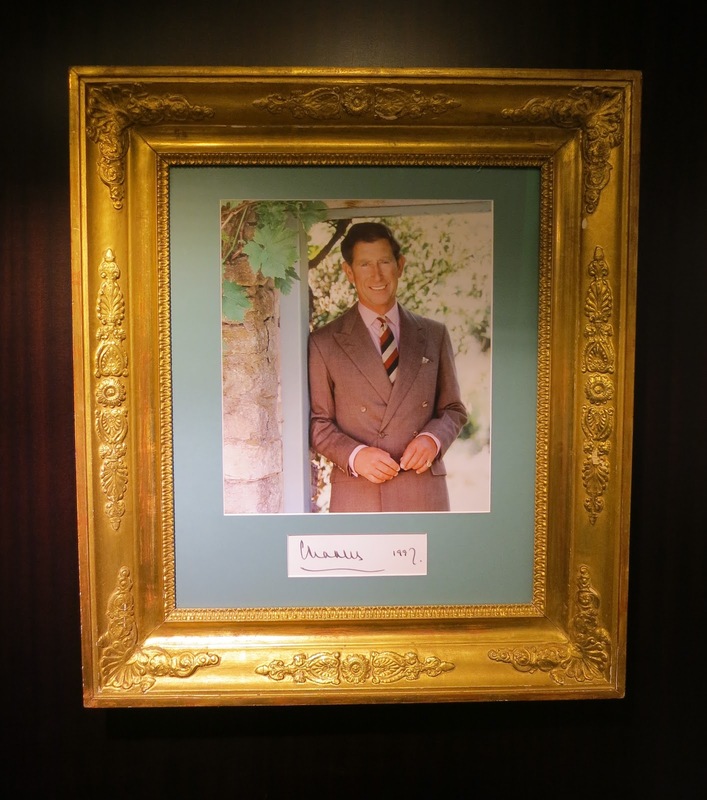 The New York store proudly displays his royal warrant, along with a signed photograph. I couldn't decide which one I liked best . . . 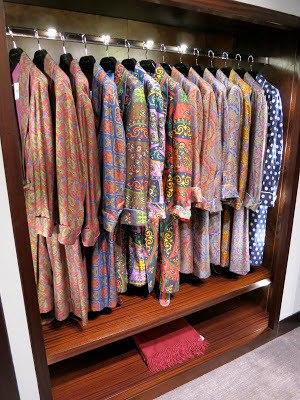 I was crazy about the silk dressing gowns at Turnbull. I might have been tempted to buy one if my darling Pompey wasn't so inclined to rub his face on my clothes, which he does at seemingly every opportunity. While we were at Turnbull, Boy was assisted by the very helpful Charles Cash. I recommend that you look him up if you find yourself in the store. Tell him Boy sent you, please! Charles helped Boy select this handsome bow tie, along with other purchases. Boy liked the tie so much that he wore it out of the store; his other acquisitions are to be delivered. 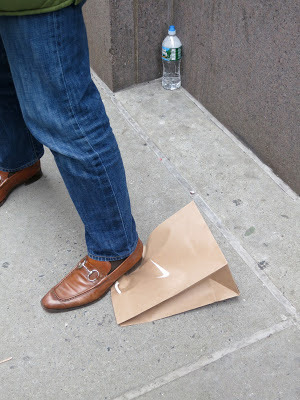 Having one's purchases sent 'round to one's apartment, rather than having to carry them away in shopping bags, is one of the great pleasures of living in New York. Well, it is transportation . 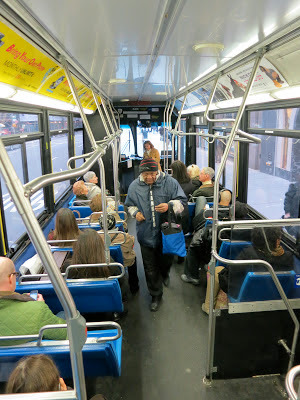 . .
After leaving Turnbull we hopped on the M3 bus up Madison Avenue. I long ago learned that trying to find a taxi on Madison Avenue in midtown during rush hour or on a Saturday afternoon is an utter waste of time. Buses are a far more efficient and reliable means of getting on one's way uptown, away from the maddening hordes clogging the streets of Midtown. Our destination was Bemelman's Bar, in the Carlyle Hotel. It is one of our favorite watering holes in the city. Before slipping in to Bemelman's, though, we decided to look in some of the store windows on upper Madison Avenue. 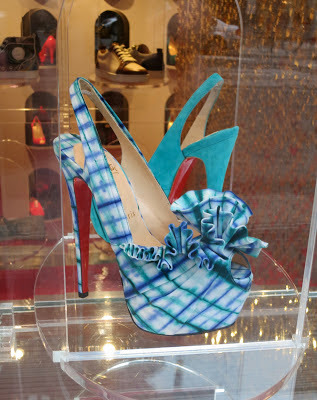 I had to photograph these stiletto platform, open-toed Prossie Trotters that were in the window of the Christian Louboutin boutique. I ask you—who wears such things, and where? Are there really that many transvestite Louisiana hayride-themed galas? Seriously, I thought they were vulgar beyond belief. 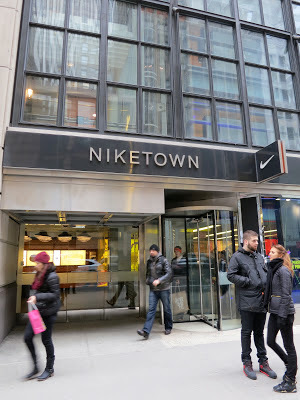 Apparently I'm in the minority, though, since we heard the doorman at the store inform a middle-aged woman trying to gain entry that it was full with customers and that she should wait on the street or come back at another time. I mean, really! 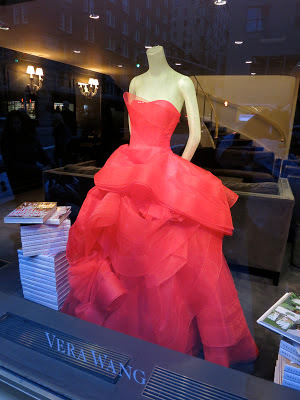 Fortunately my nerves and sensibility were soothed by this beautiful confection of red tulle a few doors up the Avenue, at the Vera Wang boutique. 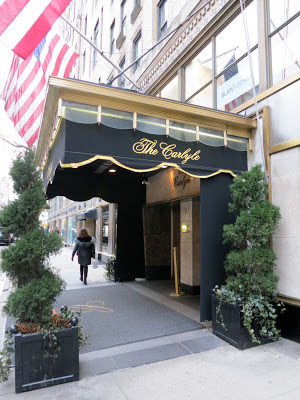 With cocktails beckoning, we made for the doors of the Carlyle Hotel. 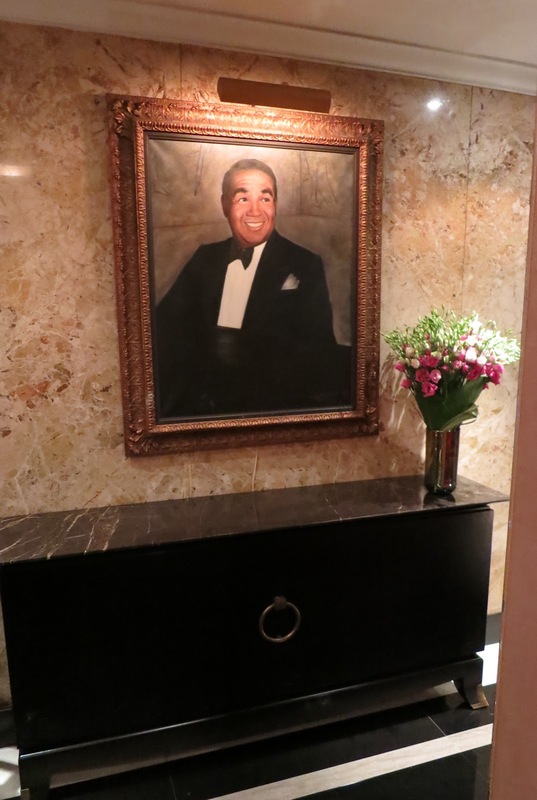 Of course one must pay one's respect to the portrait of Mr. Bobby Short that hangs in the lobby there. 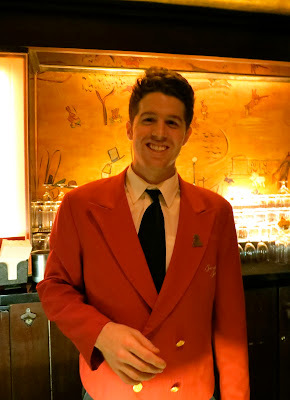 And then to Bemelman's Bar! Bemelman's is one of the most appealing and comfy bars in the city. The amber lighting is flattering, to say the least. 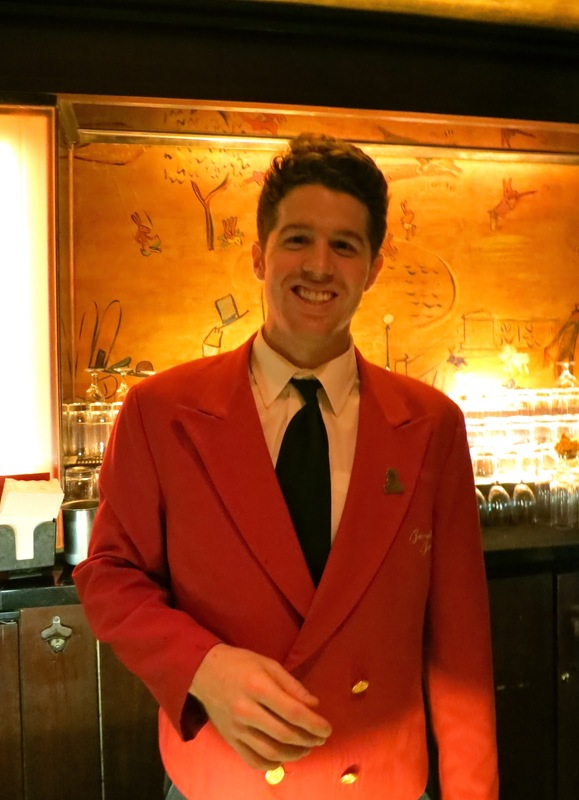 Our favorite barman, Ellis, was on duty and at the ready to serve us the perfectly made martinis he knew that we wanted. Bemelman's martinis are rather wicked, as they are delivered along with a little vessel filled with another glassful on ice, so one's single martini is, in reality, a double. 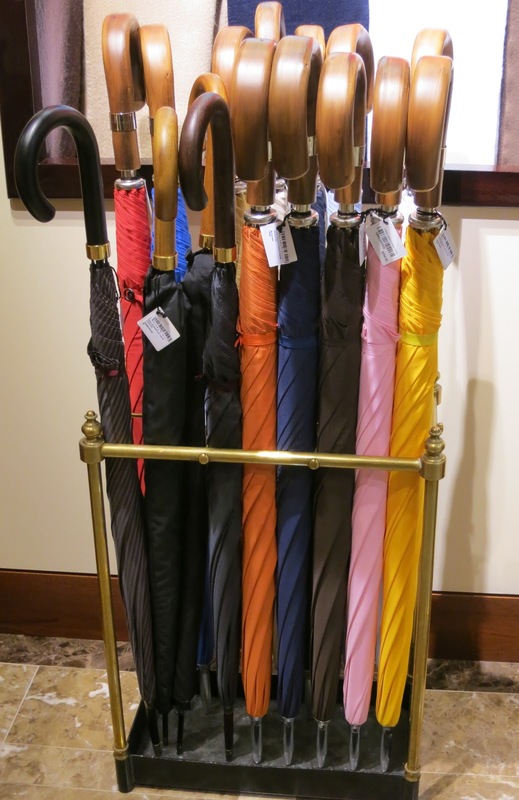 I suppose that is one of the reasons we are so fond of Bemelman's! Ellis gave me a trio of swizzle sticks so that I could feature them in this story. The Carlyle is managed by the Rosewood Group, which owns and manages hotels and resorts all over the world. One of our favorites is Little Dix Bay on Virgin Gorda, where we've stayed three or four times over the years. While I've stayed at other Rosewood properties as well, Little Dix Bay (and the Carlyle) are my favorites. Boy and Pompey, happily sleeping it off . 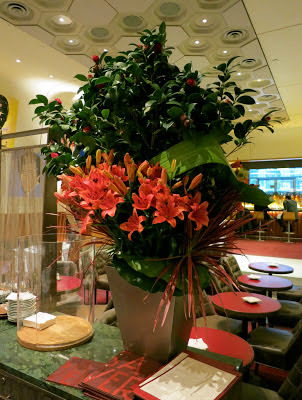 . .
After fortifying ourselves with martinis and an order of mini hamburgers at Bemelman's we wobbled our way out the door and into a taxi for the journey home to our apartment. Pompey was quite pleased to see us when we lurched through the door. After a quick tinkle and his dinner, he was more than amenable to spending the rest of the evening snoozing on a supine Boy, who was completely tuckered out after his busy day taking advantage of what New York City has to offer. 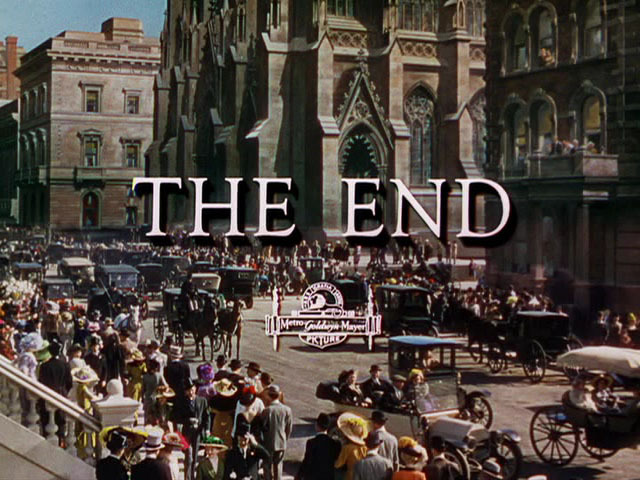 The closing caption of "Easter Parade,"
Tell me, how did you spend your Saturday, Dear Reader? Please note: Reggie has received nothing in return for mentioning the stores and other establishments named in this post, nor does he expect to. He has written this post solely for the amusement of his readers, which is the reason he writes this blog in the first place. It Is Lauren, Not Loren!